It took me a while to get around to posting this completion. 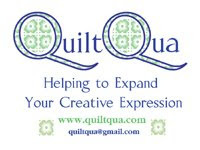 I've been of the mind to take my quilts on photo shoots, recently. However, the reality is, I end up taking them out and then driving around in the car with them for days, weeks and in this case, months on end. Since I was giving this to my sisters and they were in town this past weekend, however, I realized it was time to let the idea of finding a perfect spot around town go. Instead, I called hubs over, told him to hold it up on the back deck and snapped some photos. This pattern is Pinwheel Sampler by Rachel Griffith of PS I Quilt and the print fabrics (which I LOVED working with) was Vintage Groove from ADORN It. I started with this. I ran out of my blue background (this is why I hate working from stash, people, I'm too foolish to measure first) and had to grab another. Problem was, it matched in one light but not another. Good little twist, I managed to put the three darker strips in the center so it looks like I did it on purpose. Right? How about that pink block? Beauty, isn't she? No, I know she's not. I tested an idea to cut the pinwheel a smaller size and add border strips but again, with the lack of measuring first... Let's just say that Ms. Griffith did not design that block that way. The red and yellow block above it is how it was designed. Note to self, when using a pattern, stick to what the drafter wrote unless measuring. As for the quilting, I played and echoed some pinwheels but not all. I decided to put a simple loop d' loop in the sashing and I love it. By the way, my niece says, "hi!" Wow, it looks great. I like the background you chose.